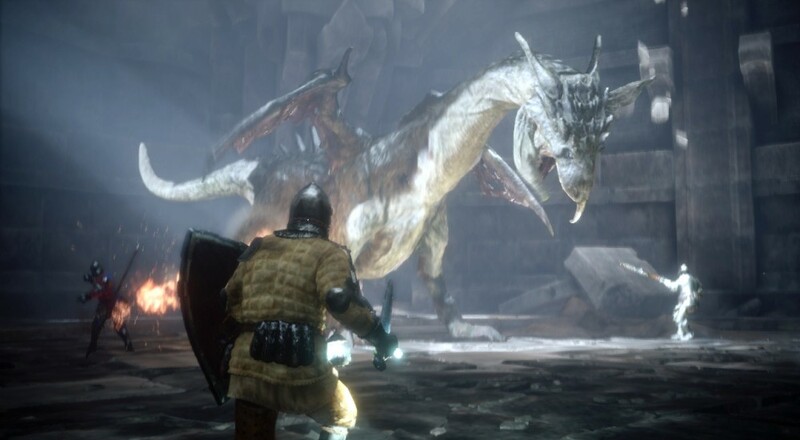 What are the co-op specifics for Deep Down? A new trailer has emerged for free-to-play PlayStation 4 exclusive Deep Down. From what we can gather, all signs are pointing to co-op. And even more signs are pointing to awesome co-op. Deep Down puts you in the role of a member of the Ravens, an organization exciting in year 2094 in New York. You have the ability to connect with "residual thoughts" that dwell in certain ancient objects, and through those thoughts your profession is clearing up details and questions archaeologists may have about previous civilizations. Ruins are discovered in the Czech Republic, and you are tasked with exploring the civilization, its ruins, and killing some dragons along the way. From the above trailer, and from this gameplay released at TGS 2013, it's safe to say that Deep Down has at least four player co-op. Details such as drop-in drop-out and local co-op remain a mystery. We reached out to Capcom for comment and will update you if we hear back.